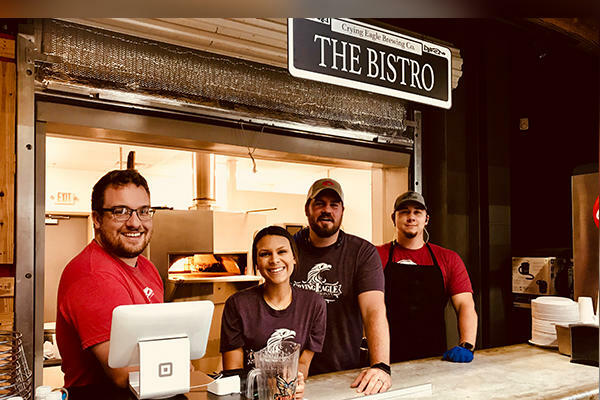 The Bistro at Crying Eagle Will Make You Smile! It has been said that “beer and pizza” go together. But, what about “incredible gourmet pizza and delicious craft beer?” That sounds even tastier! If you have ever been to Crying Eagle Brewery, you know that they do everything topnotch. 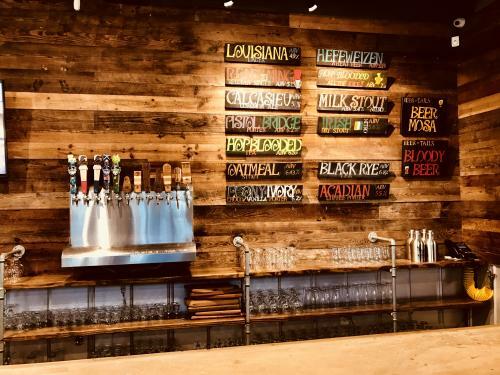 With their creative taproom, beer garden, gift shop, giant Jenga and (my favorite) giant Connect Four, they are always reaching new levels in service, putting the customer’s experience at the heart of what they do. 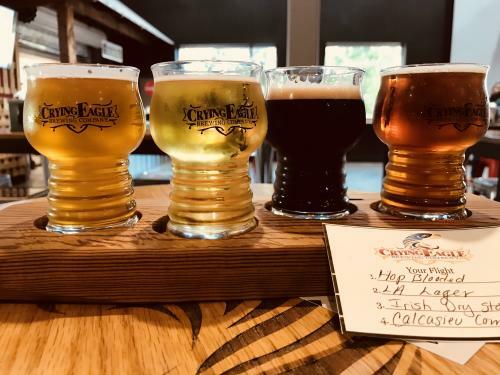 This week is American Craft Beer Week, so my best friend and I decided to check out what’s new at Crying Eagle, namely – The Bistro! Whenever the pizza arrived, it smelled so delicious that my best friend and I ate half of it before I even took a photo. Some foodie blogger, right? But, just use your imagination to see the other half of the pizza. Trust me. 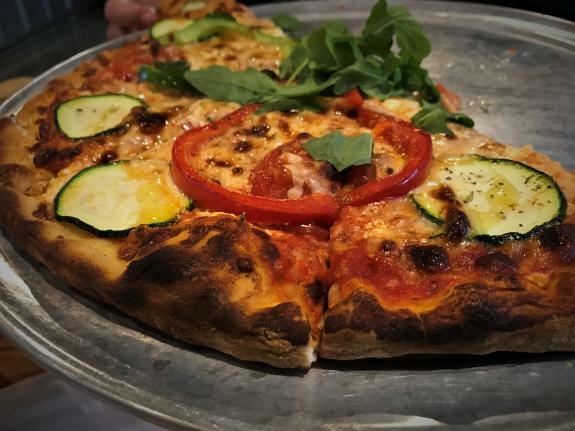 The crust was heavenly; the cheese was warm and lovely, and the sauce brought out a balance in the flavors that can only be described as – divine! Incidentally, Crying Eagle has excellent SWAG. 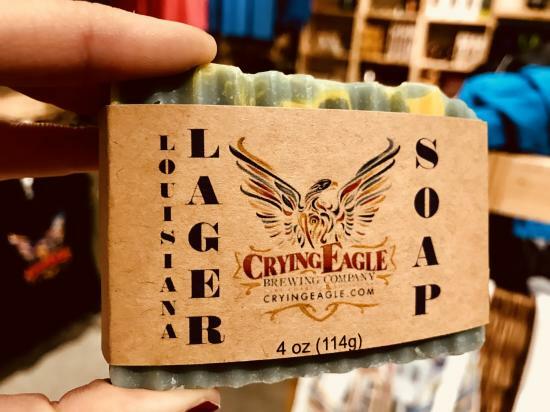 So, if you love beer and want to smell like Louisiana Lager ALL DAY, for example, there’s soap for that! 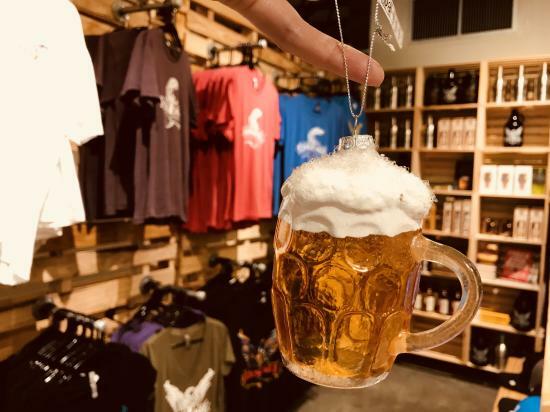 Shirts, growlers – even tiny beer mug Christmas ornaments - they have thought about everything. Learn more about Crying Eagle and other stops along the Southwest Louisiana Brews & Spirits Trail at www.visitlakecharles.org/brews.